Core Progression is not your typical gym. We’re a personal training-centric, total wellness franchise concept. Combining customized personal and semi-private training with group classes, wellness providers and retail products, we give clients a one-stop wellness shop. Big box gyms are treating personal training as an “add-on service” and not giving it the attention it deserves. Capitalizing on their oversight, our purpose is to revolutionize the personal training industry. We provide excellent customer service while focusing solely on unparalleled results-driven training, in a clean and fun environment. Incorporating facility memberships, personality tests to place members with the right trainer, science-based training and a unique modern design, it’s no surprise that we’ve experienced 10 years of consistent growth and outlasted many other fitness trends. Revolutionary Concept: We’re the first personal training-centric franchise. Our science-based approach to training and utilization of personality tests guarantees our clients will see the results they’re looking for. Low Stress Model: Big box gyms need 1,500 clients to be successful whereas Core Progression is profitable with only 100. That takes the pressure of finding hundreds of customers off of you and allows your studio to focus on your clients. As a result, we enjoy an 80% customer retention rate. Multiple Revenue Streams: We offer 5 revenue streams, including personal training, semi-private training, group classes, room rentals to wellness providers and retail sales. No Employees: The staff at Core Progression are independent contractors, minimizing payroll costs. Modern Design: Our studios have a luxury feel at an affordable price. The modern “industrial chic” design of our locations enhances the client experience and increases retention. The Personal Training industry is a $10 billion-a-year industry that is projected to grow by 24% from 2010 to 2020. An increasing focus on health and weight loss is leading more people to hire a personal fitness coach. Personal trainers are one of the top five fastest growing careers, and one-on-one training has remained in the top ten fitness trends for the last nine years. The American College of Sports Medicine cites the top industry trends right now as body weight training, HIIT training, and strength training, all of which are offered at Core Progression. The increasing popularity of custom fitness plans and the rising demand for boutique studios has Core Progression poised to be a stable and profitable business. If you’re an Owner/Operator type, then you’ll be hiring and overseeing the independent contractors that work in your gym. You’ll engage clients by selling memberships, managing renewals, and building your community’s brand awareness. You’ll handle all the administrative activities of managing your gym, such as PnL management, equipment maintenance, supply chain and marketing. If you’re more of a Semi-Absentee owner, you’ll hire a manager, hold meetings and review financial performance. Or if you’re an investor, you’ll host a weekly phone call to check in and do a monthly review of performance. You don’t need to have a background in fitness, but it’s important that you’re a fitness enthusiast. To be successful, you’ll have to devote the majority of your time to running the studio from behind the scenes, which is why a business background is heavily emphasized. 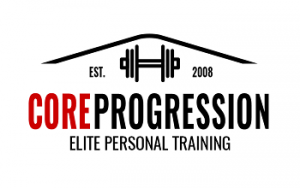 Request more information below to start your Core Progression franchise!